Do you do Hijama Cupping for Sihr, Evil Eye, Magic, etc? No we do not, we only perform Hijama Cupping for health benefits and to fulfil a Sunnah. If you suffer from any of the above please see your local imaam for help. Why am I not experiencing immediate results of the Cupping/Hijama? A Cupping session will often give immediate pain relief in many parts of the body, especially for lower-back pain, but for other areas it may however take a bit longer. Cuping works in several different ways; both as a detoxification of the blood and as a preventive medicine. When working with preventing diseases, the effects of the Cupping will take longer as it attempts to influence and improve the condition as a whole. You may not notice the effects it had on you immediately – while your overall health and immune system is improving, it sometimes improves without you even noticing it. Who should not do Cupping/Hijama? If you are younger than 16 or older than 65, we do not recommend Cupping. Also, if you have recently (less than six months ago) had a miscarriage, your body will need time to rejuvenate itself. Consult your doctor about this before doing anything else. I suffer from diabetes - can I still use Cupping/Hijama as a therapy? 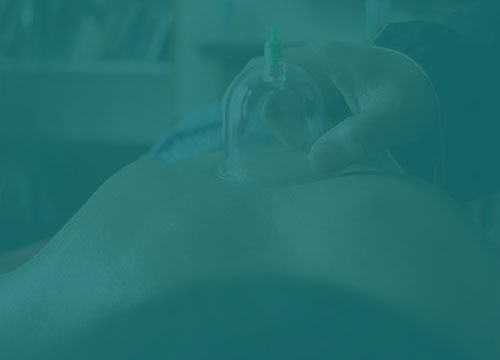 Patients who are diabetic will also benefit from Cupping – as long as the therapy is performed with much caution. The blood sugar levels must be monitored closely. If not, it may be dangerous for the patient. We only practise Cupping on patients when we have evaluated it as safe and all preventions has been taken. Although Cupping offers a wide range of health benefits; from unspecified lower back pain to the nerve pains of postherpetic neuralgia, no scientific studies shows any benefits of treating cancer patients with it. Theoretically, the treatment could cause an increase in the blood flow to a tumour and thereby increasing its growth. It is therefore not recommended as a treatment for cancer. Will Cupping/Hijama benefit us who are suffering from rheumatism? Cupping will contribute to a more balanced cellular immune system. It might therefore be very helpful for those suffering from rheumatism, relieving them of immediate pain and possibly in the long run promoting the health of the patients. When treating patients of rheumatism, we aim at not only an instant pain-relief but also less intense pain in the future. I have never had Cupping/Hijama before; how painful is it? Cupping is not very painful and absolutely no pain to be worried or nervous about before the session. The feeling may be somewhat similar to having your blood drawn for a blood test, only difference being that Cupping is less intrusive on the body as it does not penetrate your vein. What is the difference between ‘Wet Cupping and ‘Dry Cupping’? Wet Cupping is known as all forms of Hijama which draws blood from the body. Dry Cupping is the form which does not involve blood being removed; such as massage cupping and herbal cupping. At Cupping Birmingham we perform both Wet Cupping and Dry Cupping. Is there any age limits on Cupping/Hijama? The treatment is available for people of all ages who wish to benefit from it. However, it is advisable to be between the age of 16 and 65. How long does each Cupping/Hijama session take? 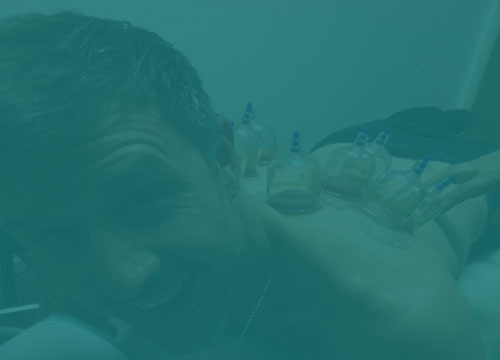 For a brand new session, the treatment may take up to one hour due to the consultation prior to the Cupping treatment. For patients continuing with their Cupping treatments, a session may take up to 45 minutes. This can vary depending on circumstances. How long will those bruises last after the treatment? Bruises after the Cupping treatment will normally remain for between 7 and 10 days. This can vary depending on each individual. Are there any side effects after Cupping/Hijama? Since Cupping is recommended to be done on an empty stomach, common side effects might be slight dizziness, feeling light headed and possibly fainting. Although this is uncommon, it may happen and does not mean that anything is wrong with you. These side effects are similar to the ones you may feel after having a blood test on an empty stomach and are not dangerous. Can Cupping/Hijama help with preventing colds and the flu? As Cupping is widely known for its benefits for the immune system, it may very well have a preventive function for these viruses. However, it is not guaranteed to cure you of your cold or flu once you have the virus. I suffer from acne, will Cupping/Hijama help clear my skin? If you do Cupping and take cleansing herbs, it might have a very good effect on your skin condition. The blood stream will improve and straighten out the hormonal imbalances, giving you a clear and smooth skin. I am diagnosed with depression; will Cupping/Hijama help me? Depression depends on a lot of different factors, and we cannot say that Cupping alone will help you. Its benefits may increase if you combine Cupping with other forms of therapy and what your doctor have prescribed for you. The treatment is not a cure that works wonders – it often works best when combined with other treatments and a healthy lifestyle. How exactly is Cupping/Hijama done? Cupping draws blood from the body, with the intention of clearing toxins and improving health. This is done by using specially made cups, that draw the blood to a specific area of the body. Small incisions are made that then allow the blood to flow into the cups, removing harmful blood and restoring health. We use modern, sterilised equipment that are disposable, including cups that feature a special suction valve for ease of use and precise control. Can I use Cupping/Hijama to cure my migraine? The Prophet Muhammad (pbuh) used Cupping as a treatment for migraine. It has great benefits for those suffering from it; even those who have suffered from it for many years without finding a cure. Do you have any advice to new patients prior to the treatment? It is recommended to fast before the treatment. If you tend to feel weak or faint after fasting, it is however recommended to rather avoid eating for up to 2-3 hours before the treatment. Make sure that the food you eat before the Cupping session is nutritional, avoid eating red meat and dairy products. Also, remember to be proper hydrated before the session to avoid feeling faint or dizzy. Do you have any advice for new patients after the treatment? Rest after the treatment and give your body time to gain the full benefits of Cupping. Do not let the affected areas get exposed to cold weather, water or wind immediately afterwards. You should avoid red meat and dairy products as your body will use a lot of energy on digesting this. Apply olive oil to the marks a couple of times per day to make it heal faster. Our therapists are fully insured for Cupping and Hijama Cupping Therapy. All our staff are fully insured, trained and experienced. All our equipment is clean, safe and of high quality including sterile one time use various size cups, oils, ointments, antiseptic, gloves, paper towels, Hijama Cupping table and so on. All of which leads to a safe, comfortable and hygienic procedure. A one to one session is £35, this includes wet or dry cupping and unlimited cups. We cover Birmingham and surrounding areas. Group booking discounts available. Some areas may have an additional charge, this will be discussed on enquiry.